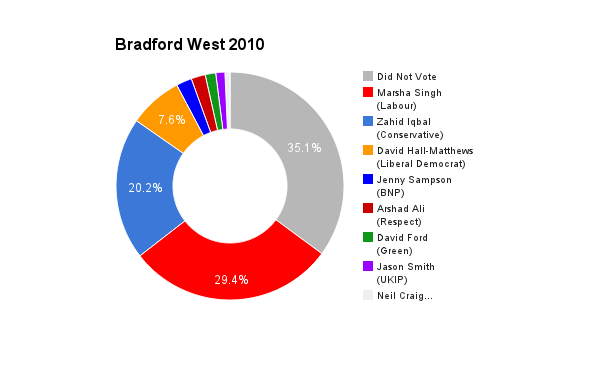 Bradford West is located in West Yorkshire in the north of England. The seat was created in 1955. 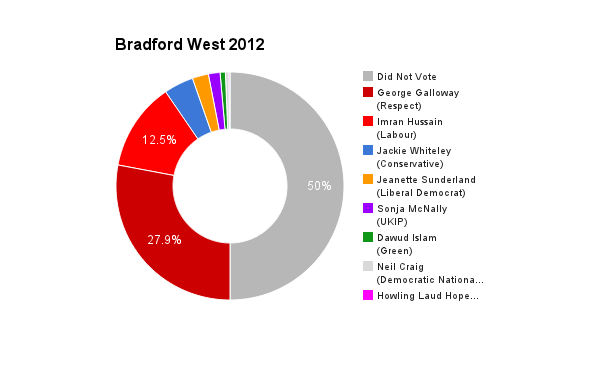 The current member of parliament is Respect’s George Galloway who has served since the 2012 by-election.